Haddington Golf Club, a long established parkland course in East Lothian, is adapting to the changing face of golf. Yesterday was the final day of voting for the proposed new course lay-out at Haddington Golf Club to change the route of their golf course to feature two distinct loops of nine holes each. A total of 178 members voted in the ballot. The result was an overwhelming majority voting, 79% voting YES to change to the new lay-out and 21% voting NO to remain on the same route. Following this overwhelming result, Haddington Golf Club will now continue to play the new lay-out from this day onwards and immediately begin to make the necessary minor changes so that they are ready for the new season. As part of a four-week trial, Haddington Golf Club changed the route of their golf course to feature two distinct loops of nine holes. There were two nines, giving the club the option to sell nine-hole memberships, run nine-hole competitions and generally host shorter forms of the game. The two loops consist of holes No 1, 2, 18, 14, 12, 10, 11, 15, 16 and Holes 17, 3, 4, 5, 6, 7, 8, 9 and 13. Members have now chosen to keep this lay-out and visiting golfers can play nine holes for only £20. There are a number of other courses in East Lothian who also offer nine-hole rounds, including Gifford Golf Club. This is an ideal way to enjoy golf in the colder Winter months as well as those who are tight for time. 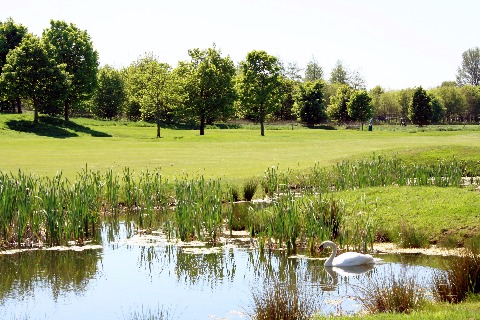 All accommodation provides easy access to East Lothian’s 21 golf courses, meaning no need to waste valuable time travelling from base to course. Spoilt for choice with 5-star luxury properties, smaller hotels, bed and breakfast pubs and homes, self-catering apartments and even centuries-old stately homes are all on offer. While golf is the magnet that draws many to East Lothian, the county has a lot more to offer both the golfer and just as importantly the non-golfer. In addition to its proximity to Scotland’s Capital city, East Lothian boasts historic castles and battle sites mixed with a number of exciting modern excursions.